Contains clean saves for Skyrim with and without DLCs. Updated file descriptions to be more uniform. Uploaded Dawnguard main quest saves for all DLCs. Uploaded Civil War saves for both sides for all DLCs. Uploaded Main Quest saves for all DLCs. Uploaded .txt file for restoring skill levels after ShowRaceMenu race changes. Minimal Dark Brotherhood saves was missing a save! Renamed Dawn Saves to match the .7z naming style of the other DLC options. Renamed some of the saves in the Lycanthropy bundles to be more distinctive. Updated file versions to match latest. Added miscellaneous file Serana - see Bugs section for details. Files flagged with this version number are actually clean as advertised. Added saves from Helgen to completing Way of the Voice while infected with Sanguine Vampiris for vanilla. Added saves from Helgen to completing Way of the Voice while infected with Sanguine Vampiris for all DLCs. Added saves from Helgen to completing Way of the Voice for all DLCs. Added saves regarding the Companions and Lycanthropy for all DLCs. Added saves from Helgen to completing Way of the Voice for vanilla. Added saves regarding the Companions and Lycanthropy for vanilla. Added saves from Helgen to completing Way of the Voice for Dawnguard. Removed one gratuitous save from Dawn - Starter Pack. Added saves from Helgen to completing Way of the Voice while infected with Sanguine Vampiris for Dawnguard. Added saves regarding the Companions and Lycanthropy for Dawnguard. All saves are now ShowRaceMenu compatible. All DLC's version now includes saves for the Companions, a few checkpoints as a Vampire and several checkpoints in the Dawnguard storyline. 25 saves in total as opposed to the original 13. This is what happens when my internet cuts out for a week. For the special edition saves go here! These files contain a variety of clean saves for Skyrim. All saves were created only with the Skyrim and Update files and specified DLC. No quests/quest lines were completed except those required. Random encounter quests may be in the journal but no progress towards their completion has been made. PM or Comment with requests. You will most likely be over-encumbered when you load these saves. I picked up just about everything of value (most non-crafting supplies were sold). Minimal saves I tried to pick up absolutely nothing, including boss loot which can still be retrieved prior to a cell reset. No skill books have been read on any of these saves due to the Dragonborn DLC ability which grants two skill points from every skill book. If the Main Quest has been completed or progressed to Diplomatic Immunity then belongings will be in various chests in the basement of the Sleeping Giant Inn. All saves contain only level 1 characters and will be compatible with the showracemenu command. See Support section for How To. Minimal saves are for all DLCs. They are saved at the start of each quest in the relevant questline and numbered appropriately. Clean saves will only work with Skyrim and are not compatible with any DLC's except for the texture packs. Dawn saves will only work with Dawnguard and are not compatible with vanilla or any other DLC's except for the texture packs. Total saves will only work with all DLCs installed and active and are not compatible with vanilla or only partial DLCs except for the texture packs. The texture packs are only compatible with a 64-bit OS. First Open Console with the tilde (~) key. Type showracemenu and hit enter. Close the console by hitting the tilde key again. Change your race, name, and any other settings like you would when normally starting a fresh game. Any saves where the character is still level 1 will be able to do this but bad things happen if done on saves if you are not level 1. It should not longer matter how you change your race, console or menu. The latest saves have only the starting races skills and no advancement in anything. Changing your race through this menu will RESET all your skills to the new race's default. If changing your race from the default Nord be sure to use Player.SetRace <race ID> console command to change it and DO NOT use the ShowRaceMenu to change it. The available races ID codes are actually very simple and you won't even have to look it up! You may use the ShowRaceMenu to alter your appearance before or after using the SetRace command with no adverse effects. If you use SetRace after, you will retain the facial features of the previous race/gender. If you are having trouble with this, see bugs section for solution. You are now a Breton with all your skills unchanged and the proper racial bonuses. There are two codes for setting your proper race - use the other one and unpleasantness will occur. The miscellaneous .bat file if ran as is may crash Skyrim. It contains a list of all interiors including test cells, player homes, inns, guild halls, cells never accessible by the player, cells only visited once, ect. If it's an interior, it is in the file - all 728 of them. Cells are listed with their Editor ID alphabetically for the name of the location, eg. the cell TestTony has an Editor ID of AAADeleteWhenDoneTestJeremy so it is on line 615, instead of 1. I suggest using it as a reference to locate the cells you wish to reset. To create a clean save you must have no loose script files and no .esp/.bsa files loaded (unless specific to your mod such as the Dragonborn DLC for a Solstheim mod). Textures and meshes are not saved in the game data but are loaded on demand and so will not effect creating a clean save. Loose script files (and possibly .bsa files in the main Data folder) should be contained in the Data>Scripts folder in the form of .pex files (not the Source folder - .psc files contained therein should not effect gameplay and are for reference by the Creation Kit and Modders). If you do not wish to delete your .pex files simply get them out of the way while you create your clean save - hide them in another folder, move them to another folder outside the Data folder, compress them, make it so that the game won't see them when it loads a save. To restore a corrupted/modified/removed Scripts folder simply verify the game files for the Creation Kit (listed in Steam under Tools). Sometimes any files (plugins, archives, or loose files) in your Data folder can mess things up. If you have any concerns or want to be extra certain that your saves have nothing interfering with them - make sure everything is either hidden in another folder or otherwise not there. Anything that changes the game environment can technically have an effect so uninstal SKSE and make sure you haven't altered (including cleaning!) the game's base files for the extreme clean. Serana has no "Follow me" option when she should. This is not from save game corruption but rather an oversight in the DLC's follower AI for Serana. It is fixed by entering setpqv DLC1NPCMentalModel LockedIn_var False into the console and speaking to Serana again. There is a miscellaneous file that contains a .txt file for this if you so desire. This file also contains a .txt to reset Serana's desire (or lack thereof) to cure her vampirism. Extract the .txt files to your Skyrim folder (not your Saves folder like the Clean Saves or the Data folder like with other mods) To execute these fixes simply load the save game you desire that has Serana in it and enter bat Follow and/or bat Cure into the console. During the Stormcloak side of the Civil War quests when Galmar first speaks to you, you will not be able to respond as a Nord if you are a Nord who is also a vampire/Vampire Lord. Choosing the second option "Skyrim is home to more than just Nords." will advance the dialogue in the same direction as it would have had you been recognized as a Nord and been able to respond accordingly. Changing your race to Nord and back to a Nord vampire may work but has not been fully tested. It appears to work and does not seem to break any vampiric abilities, positive or negative. Stage 3 vampires/Vampire Lords will experience some health/magicka/stamina regeneration (25%) instead of none with Dawnguard installed. This was fixed for vanilla vampires in an official patch which Dawnguard reverted. Feed or wait a day to reduce your stage below 3 or increase it to stage 4. Player.SetRace command breaks head graphics, e.g. change to KhajiitRace from default results in a Nord with Khajiit teeth sticking out of their face. Change your race to a different race and back to your chosen race from the ShowRaceMenu and use the console command Player.SetAV <Skill Name> <Skill Level> for each skill to restore them to their previous levels. 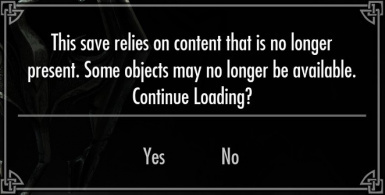 A Level.txt file is available as an miscellaneous file to run from the console as a bat command as with Serana's fixes. Simply add the appropriate numbers to each respective skill in the .txt and execute as with the Serana .txt fixes. Setting your skills is no longer necessary in the latest saves as you will not have any levels other than the starting ones. 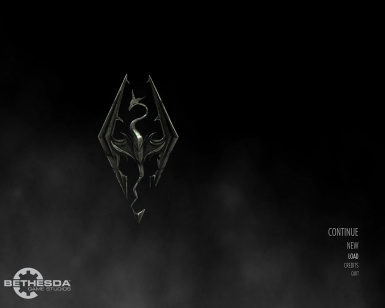 Skyrim will CTD upon loading of a save or shortly after loading a save (within the first hour of play-time). This crops up with extensive load orders (only one reported incident to date). To resolve the CTD issue load up the desired clean save and let the game load up all the mods and MCM menus and finish processing and then resave after all the information is processed. You should then be able to play/test normally. When siding with the Volkihar upon completion of the Vampire Lord tutorial the castle denizens will be hostile to you. There's no way to predict when this will occur or will not occur. It is related to how the game handles how your race changes when you transform between Vampire Lord and back. Retransforming, loading a save prior to your transformation, or leaving the castle for 24 hours are possible solutions. I personally had to reload over half a dozen times to get past this bug the one time I have encountered it. When beginning the Civil War quest line if you followed Hadvar/Ralof from Helgen but joined the Stormcloaks/Imperials then Ralof/Hadvar will not be present at Kjorvanund. I don't know why this happens, Arthmoor doesn't know why this happens (I'm not sure he believes it does on unmodded saves), and I don't know how to fix it. If reloading a previous save doesn't solve it for you, reload that previous save and enable the missing actor before going to Kjorvanund. You may have to use the moveto.player command to get him where he needs to be. Reports also indicate that if you do nothing you may miss some dialogue and triggers but they will show up at the Battle for Whiterun as if they were never gone. Also available on TES Alliance and AFK Mods.